The Mosaic Palette is an amazing device. It allows you to print in 4 colors instead of 1, opening up a world of possibilities. There are still quite limited offerings on thingiverse for Multiple Color STLs, but the list is growing every day. I fully calibrated the Mosaic Palette, and although it seemed spot on, I noticed a very odd behavior. When transitioning from strong colors (e.g. black / blue), to weak colors (e.g. white / pink), no matter how much transition length was added (even the max was tried, at 230mm), it would still bleed. 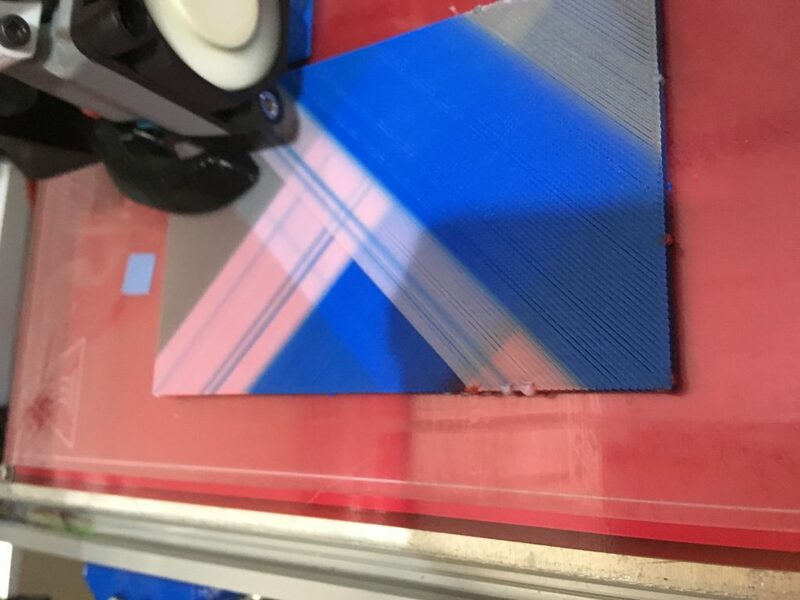 The palette was fully calibrated and printing well, but exhibited an odd behavior. When transitioning from strong colors (e.g. black / blue), to weak colors (e.g. white / pink), no matter how much transition length was added (even the max was tried, at 230mm), it would still bleed. 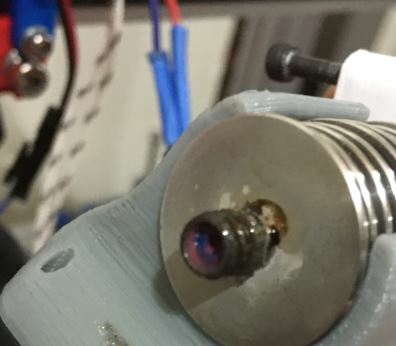 The E3D Lite6 supposedly has a very short melt zone, and that should help reduce the amount of waste filament you print on the waste tower. Asking for advice on Facebook proved quite helpful. Members pointed out that very likely the Teflon tube was not fully inserted. After re-seating the tube, problem resolved, and the transition length could be reduced tremendously, from the standard 130mm to about 100mm for strong colors, and 80mm for weak colors. Custom Supports on Cura or Slic3r? It’s possible with Meshmixer!